PSD Groundscare, the leading distributor of AS Motor, Eliet, Koppl and TS Industrie professional groundscare machinery, are pleased to announce a recent deal that sees them supplying central and southern England multi-depot groundscare dealer Farol Ltd.
James Moore, Director – Golf & Grass Machinery at Farol said: “We were looking for a solution to fill a gap in our shredders and chippers product offering. 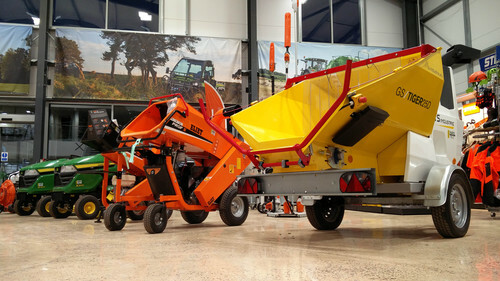 PSD Groundscare presented both their Eliet and TS Industrie ranges of which we had no hesitation in listing. The build quality and the output results from both ranges are top class and this coupled with their excellent back up service in After-Sales gave us the confidence to agree the deal”. Please click HERE to view a small selection of models we currently have in stock at our Milton Common and Hinckley branches.